Halloween is fast approaching, and it’s time to get moving on that perfect look for your family! I love family costumes. I have always wanted to have a Halloween where we pick a theme and go for it. I think with some clever budgeting and smart shopping this will finally be the year we buckle down and do it! But more on that later. This article is all about inspiration! Not sure what the best look is for your family? Are you a family of Trekkies or maybe Whovians? Let’s be honest, you’re actually all Browncoats, aren’t you? With so many wonderfully geeky things out there, it’s hard to decide what look is best for the group. Well, here are some clever ideas to look through, and perhaps you will find that bit of inspiration that’s right for your family of geeks! 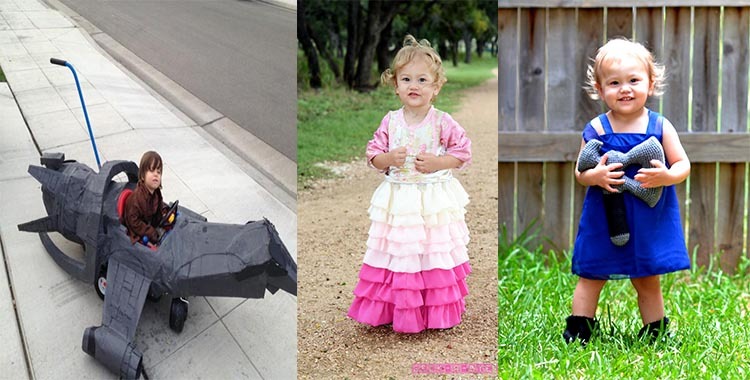 Adorable Firefly costumes for the little ones. We have all seen some wonderful Firefly cosplay, but this first image has some very clever crafting! I can only imagine how long it took to create that, but personally I would love to have one just for myself! Check out the adorable Mal at the helm. As for the other two lovely ladies, these costumes come from the brilliant minds over at Geek-a-bye Baby! They have some truly fantastic costumes for the kiddos that are sure to please even the geekiest parent. Is that not the cutest Kaylee and River Tam you have ever seen? Who doesn’t want to be a family of superheroes? Super powers and cool costumes? Yes please! 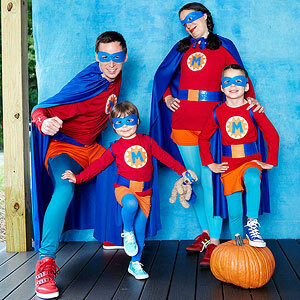 These families look ready to save the day! I especially love the LEGO family. I bet with a trip to Home Depot and a little patience this would be a fun look! Another option is just to create your own superhero family. Make it fun with names and back stories. I am sure your little ones would have a blast using their imagination and working on this project! Any Whovians out there? Ha! Who am I kidding? Of course there are! My oldest loves Doctor Who. She reminds me constantly that November is a special month. Not because of Thanksgiving but because of the Doctor Who 50th anniversary special. She is still excited about Thanksgiving but not as much as Doctor Who. Hey, at least the family get together ranks somewhere on the list! As far as costumes go, Doctor Who might be one of my favorites. It’s always fun, and with some smart shopping and clever crafting it has so many looks to choose from. The Doctors current eleven incarnations, several different companions, villains, and the TARDIS alone leave lots of room to get creative and have fun! Definitely a fan favorite for Halloween! They are just the type of movies that are always special to enjoy as a family. 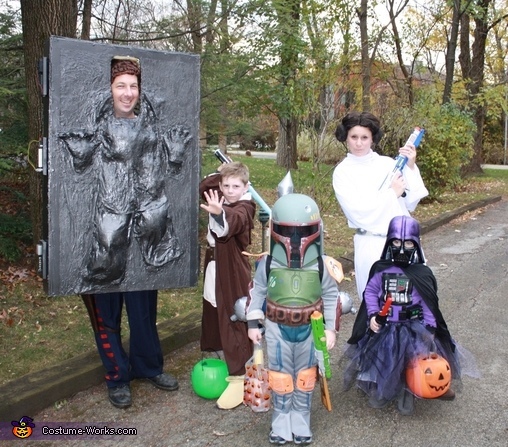 Dressing up your family as their favorite Jedi, Sith, bounty hunter, or smuggler makes it all the more memorable. Is that not the most adorable yet fearsome Vader you have ever seen? Whatever fandom you choose, the possibilities are endless! The most important thing is just to remember to have fun! 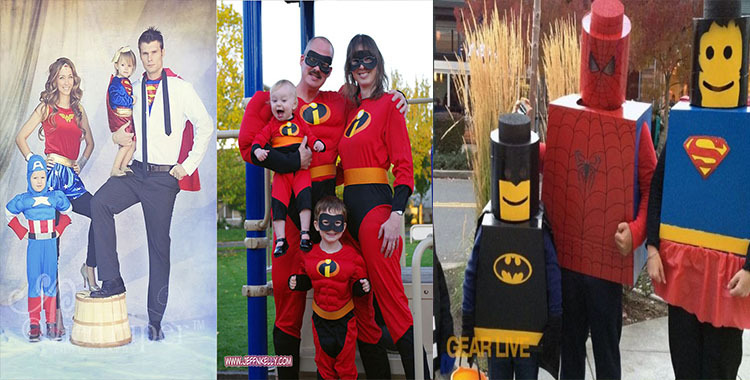 Let us know what your family will be dressed as this year! Nerdy Minds (Magazine) is aiming to bring you new Halloween and/or horror-related content every Monday through Friday during the month of October! Have something you’d like to see featured on our site this month? Contact Us! 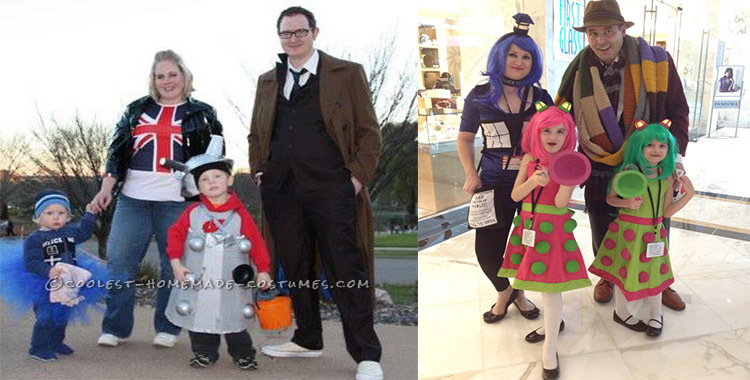 Of course we want to see your geek family costume photos, so post them to our Facebook; and who knows? Maybe your crew will be featured in an upcoming article! So that we are able to better understand our viewers and give you more of what you want and less of what you don’t, please rate this post and leave a comment (positive or negative). Care to offer another perspective on something? New content Monday-Friday (& some weekends too)! Like us on Facebook & follow on Twitter to be sure you’re in the know!